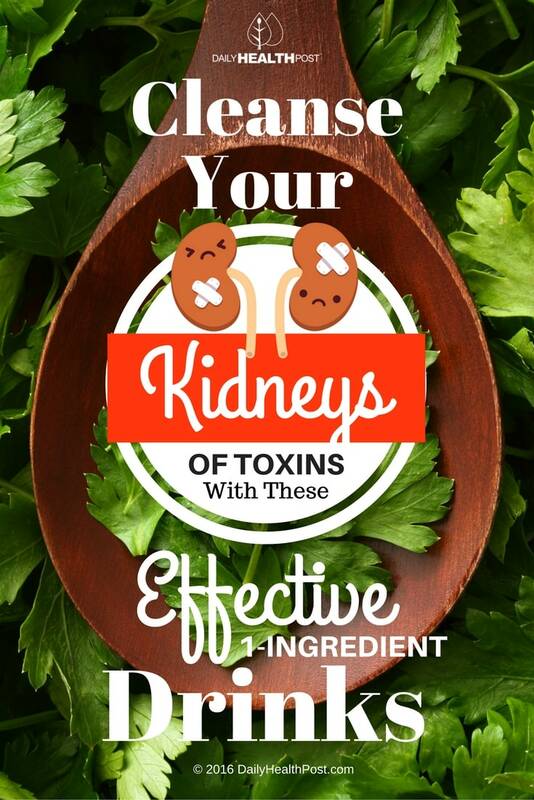 Your kidneys are constantly clearing your blood of harmful substances and toxins. When overloaded, kidneys can slowly accumulate toxins in its tissues, especially if you aren’t drinking enough water or producing enough urine to clear them out. Other habits like smoking, eating fast foods and drinking alcohol can also take a toll on your liver and kidney, leaving them overworked. If you’re going to detox your liver every once in a while, why not do the same for your hardworking kidneys? All you need is to make sure you stay hydrated, eat clean and ditch the alcohol. Try the following detox recipes. 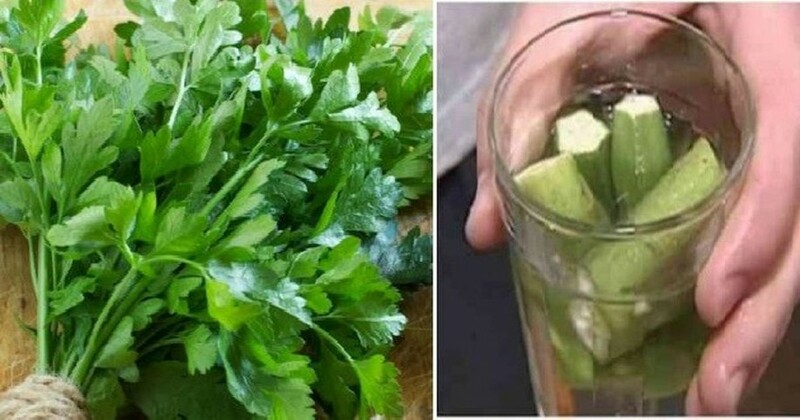 Parsley is a known diuretic, meaning that it increases urine production and expulsion. Thanks to this effect, parsley tea was traditionally used to treat urinary tract infections an kidney stones. It is also frequently used to detox kidneys and treat oedema (1). It’s important for women to use caution when taking this tea, as it can trigger unscheduled menstruation or spotting. Pregnant women should refrain from drinking it entirely. To make the tea, all you need to wash and chop fresh bunch of parsley and add to a medium saucepan with 4 cups of water. Heat the mixture to a boil and lower to a simmer for 5-10 minutes to infuse your tea. Let it cool, strain out the leaves and store in a sealed jar in your refrigerator. Drink a cup every morning for a week for best effects. Eating okra regularly helps regulate sugar metabolism to stabilize blood sugar levels. This is particularly important in preventing kidney damage in diabetics. This is significant because half of all cases kidney disease in the United States develop in diabetics (2). In fact, a study published in the Jilin Medical Journal found patients who ate okra daily experienced reduced signs of kidney damage more than the control group following a traditional diabetic diet. Even if you aren’t diabetic, okra water will help clear your kidneys of heavy metals and toxins to increase their efficacy and prevent organ fatigue. To make okra water, cut off the ends of two fresh pieces of okra and place them in water so that they are completely submerged. Let them soak overnight. In the morning, remove the okra and drink on an empty stomach. Make sure not to eat anything in the 30 minutes following your drink. Repeat daily for a week to reset your kidneys.